On Saturday, March 4th, 2006, at the M.E.N. Arena in Manchester, England, undefeated and long reigning WBO Super Middleweight Champion Joe Calzaghe attempted to silence the fight critics who consistently claimed the slick southpaw was a protected fighter who religiously avoided the best competition in his respective division by facing the hard punching and undefeated IBF title holder Jeff “Left Hook” Lacy. Leading into this historic and memorable unification bout, Jeff Lacy had garnered the reputation as one of the hardest pound for pound punchers in the sport, stopping five of his previous six opponents. With a deep amateur pedigree and an impressive knock-out victory over mutual opponent Robin Reid, the American born power puncher was the overwhelming favorite among most fight scribes and boxing fans across the globe. What eventually unfolded in the ring was one of the most brilliant displays of skill and athleticism we’ve seen in the modern era of boxing. The Pride of Wales virtually performed surgery on the humbled American puncher for twelve shockingly one sided rounds, forever silencing his long time detractors and securing his place in boxing history with the brilliant time capsule performance. Fast forward to Saturday, August 17th, 2013. Undefeated WBO Light Heavyweight Champion Nathan Cleverly (26-0, 12 KOs) will attempt to silence his harshest critics who incessantly claim the Welsh Warrior is a protected title holder that has intentionally avoided the best fighters in his respective division by taking on one of the most feared punchers in boxing today in front of a sold out crowd at the Motorpoint Arena in Cardiff, Wales. Undefeated Light Heavyweight title challenger Sergey Kovalev (21-0-1, 19 KOs) has garnered a reputation as one of the most dangerous men in the sport by stopping nine of his last ten opponents with highlight reel KOs. With a deep amateur pedigree and the ability to stop a fighter with one big punch, the Russian born fighter has quickly become a heavy favorite among fight scribes and boxing fans around the world. 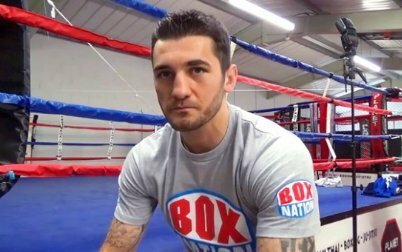 While the backdrop to this fight looks eerily similar, very few ringside experts feel that Nathan Cleverly is capable of repeating an historic “Calzaghe-esque” performance against a murderous bomber like Sergey Kovalev. Although the betting odds are virtually even leading into the highly anticipated title fight, most boxing critics believe that fight fans will see a new Light Heavyweight Champion heralded after the dust has settled in the ring. This past Sunday evening on “The Pugilist KOrner” radio show, fight strategist and boxing trainer James Gogue examined both fighters and analyzed the compelling Light Heavyweight match-up between incumbent WBO Champion Nathan Cleverly and challenger Sergey Kovalev. While many respected boxing pundits have predicted a dramatic Kovalev KO in tonight’s main event, Gogue isn’t convinced that we will see the coveted title change hands. The expert trainer expects to see a much more competitive and riveting affair over twelve hard fought rounds. While James Gogue identifies the strengths and weaknesses of both fighters, he’s able to map out a clear strategy for the two combatants in tonight’s main event. Next boxing news: The Top Heavyweights Of 21 Years Ago Vs. Today’s Top-10: Who Wins?